The name Talavera was brought to Mexico from Spain in the early colonial days, as one of the earliest forms of out-sourcing. It signified a traditional style of pottery that was being produced in Talavera de la Reina, Toledo, Spain. Since its transplant to Mexico it has grown to mean much more. The first Talavera style pottery and tile of Mexico, was manufactured in and around the city of Puebla de los Angeles, in the State of Puebla. The industry flourished in the 16th and 17th centuries after the Spanish authorities chose Puebla to be the exclusive manufacturing region for ceramic pottery in Mexico. 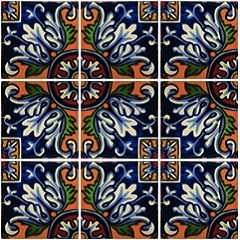 This new product was given the name “Talavera Poblana” to distinguish it from the Spanish Talavera. The only other fine ceramics allowed to be sold in Mexico in colonial times, were imports from China or western Europe. However, this is where reality transcends politics and tradition. There is a place where the manufacture of Talavera pottery is profuse. The rivers cutting into the plains around Dolores Hidalgo, Guanajuato bank some of the finest and cleanest clays in Mexico, the quality of which can only be surpassed in Saltillo, Coahuila. Although now not recognized as such by the Mexican government, Dolores Hidalgo is truly a home of handmade ceramic tile manufacturing, with dozens of ceramic houses making tiles and pottery they call Talavera. Many of the manufacturers in Dolores Hidalgo have used the word Talavera either in their names or on their wares for centuries prior to the new “Denomination of rigin” protections being put into place. Tile and ceramics from Dolores have long been sold around the world and in Mexico as Talavera. Indeed, it is the most commonly recognized form of the craft. By their very lack of government certification, the artisans of Dolores have been freed from the requirement of using out-dated technology. This allows many of them to sell far below the pricepoints of their Talavera Poblana competitors by using modern methods of cleaning and preparing the clay, modern firing and a wide range of glaze colors. They take pride in staying true to the old-world feel, by using hand molding & painting techniques. There are even a few free-lance mural painters who sell their work thru little shops in the town. Volume sales also help in keeping costs down, as many tile houses can produce a large quantity in short order. The American Southwest is a major market for this type of Talavera, as is much of Mexico. Quality varies from modest to the very finest, but style and creativity abound. 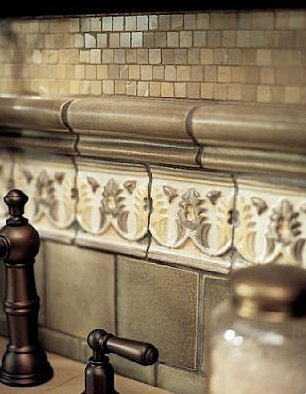 Some very dedicated and passionate tile makers are pioneering glazes, finishes, reliefs and sculptural surfaces. 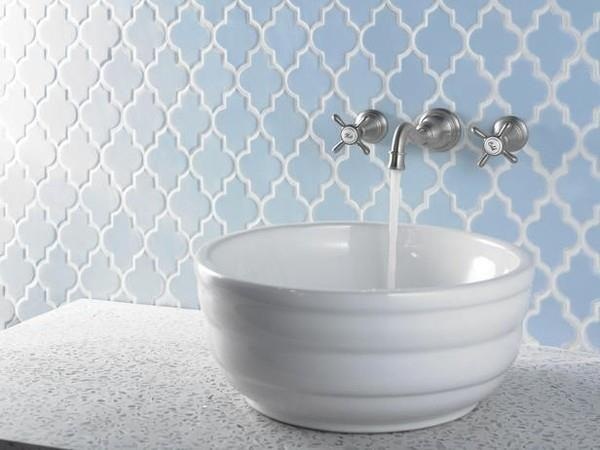 The concept of tile as wall-covering is one cutting edge format currently being explored. International designers are also seeking out the top tile houses to bring their visions to life. Highlighting an interesting twist in the back-story, Padre Miguel Hidalgo, the father of the Mexican War of Independence, himself, had a clandestine pottery business in Dolores Hidalgo before the start of the war, when the Spanish authorities did not allow the local making of pottery. Its closing by the colonial government and other economic oppressions were some of the reasons he and his parishioners started the rebellion. The artisans of Dolores Hidalgo and the rest of Guanajuato, continue to produce some of the finest tiles and ceramics on earth. Their attention to detail, quality & trendsetting design make them unique in their field. So, who is to say what is Talavera? It’s all beautiful. Nothing is ever as it seems in Mexico, and no one should expect it to be. That’s one of the reasons to love it.